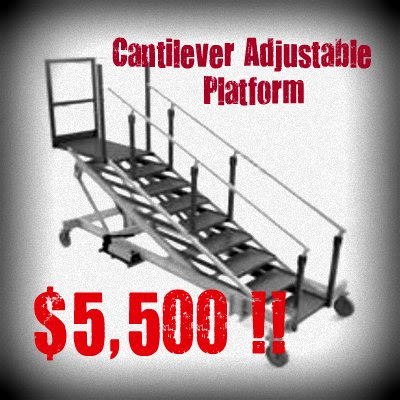 Ballymore CANTILEVERS information here. 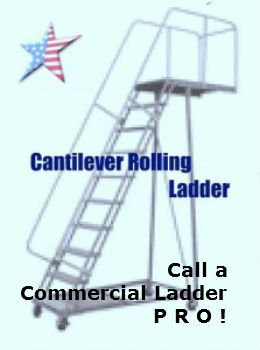 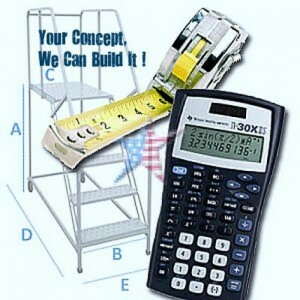 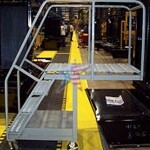 CANTILEVER LADDERS (overhang ladder, counter balance ladder) are used where other rolling ladders can't reach. 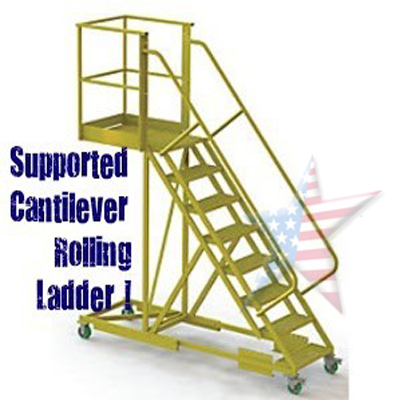 Our Un-Supported Cantilever are useful for maintenance, inspection, and inventory control. 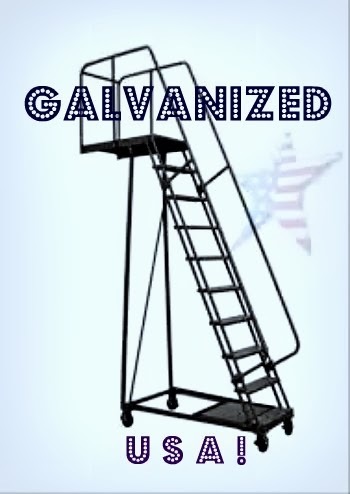 The cantilevered unsupported portion of the platform is perfect for clearing hard to reach areas and we can install walk off safety chains, make a larger extended reach top platform, galvanize it or make a beefier capacity. 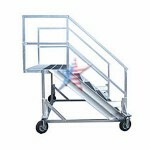 These Extended Platform style ladders we can Galvanize too. 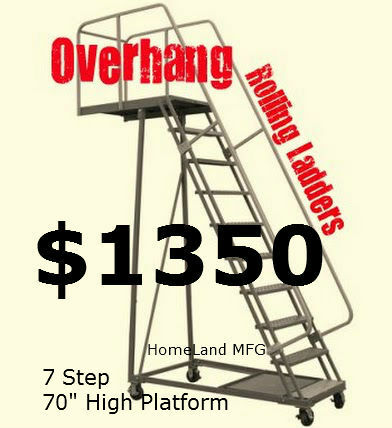 These are often seen being used in Home & Garden Supply Stores. 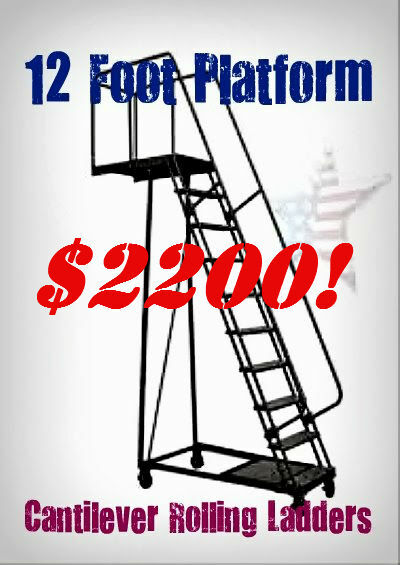 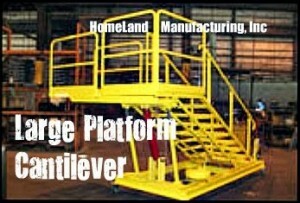 Cantilever Platforms Can Be Made Almost any Size! 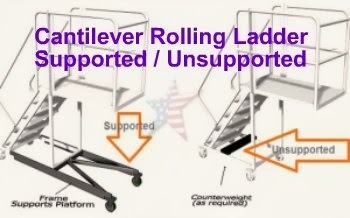 QUESTION: Cantilever Rolling Ladders: Supported or Un-Supported? 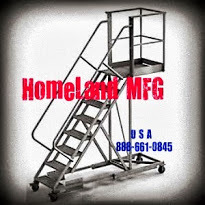 The basic Un-Supported seems to be the preference of maintenance personnel. The extended platform of this platform is balanced by a Counter Balance weight located in the frame base on the opposite end.